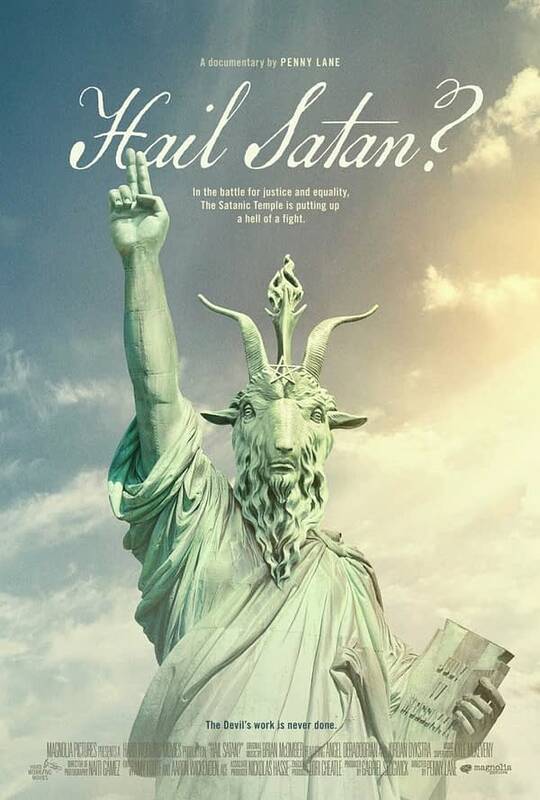 Magnolia Pictures released the first trailer, and announced a theatrical release date, for Hail Satan? which is a documentary about The Satanic Temple they picked up at Sundance this year. In the battle for justice and equality, The Satanic Temple is putting up a hell of a fight. Chronicling the extraordinary rise of one of the most colorful and controversial religious movements in American history, Hail Satan? is an inspiring and entertaining new feature documentary from acclaimed director Penny Lane (Nuts!, Our Nixon). When media-savvy members of the Satanic Temple organize a series of public actions designed to advocate for religious freedom and challenge corrupt authority, they prove that with little more than a clever idea, a mischievous sense of humor, and a few rebellious friends, you can speak truth to power in some truly profound ways. As charming and funny as it is thought-provoking, Hail Satan? offers a timely look at a group of often misunderstood outsiders whose unwavering commitment to social and political justice has empowered thousands of people around the world. Hail Satan? will be released in select theatres on April 19th. Be sure to check out our review of Hail Satan?